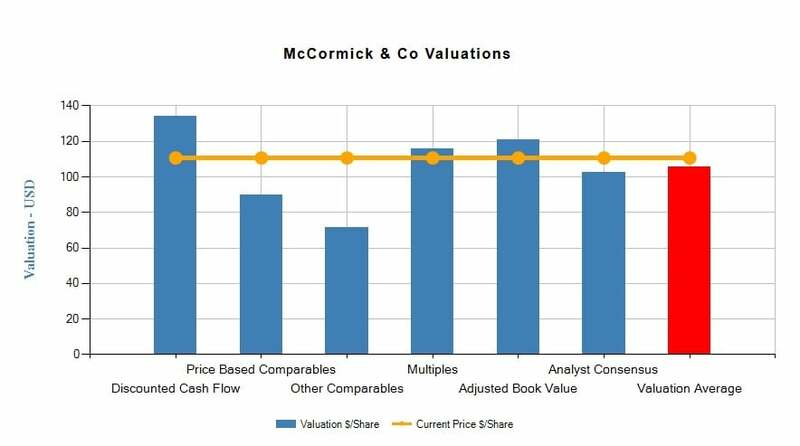 Based on the analysis conducted in this report, McCormick & Co, (MKC:NYS) is found to be Overvalued. McCormick & Co Inc acts as a manufacturer, marketer, and distributor of spices, herbs, extracts, seasonings, and other flavorings. It serves its products to quick-service restaurants, retail grocery chains, and packaged food processors.